Product prices and availability are accurate as of 2019-04-25 07:40:11 UTC and are subject to change. Any price and availability information displayed on http://www.amazon.com/ at the time of purchase will apply to the purchase of this product. 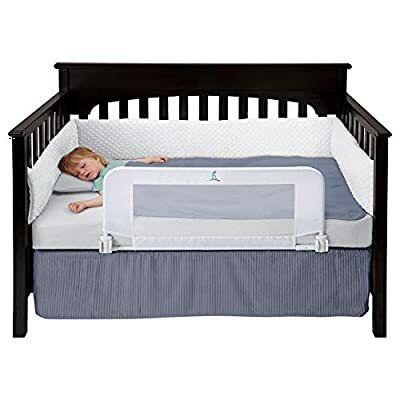 hiccapop's Convertible Crib Rail was designed around PARENTS' PEACE OF MIND and the SAFETY of their little one. Transitioning from baby to toddler is exciting AND nerve-wracking. 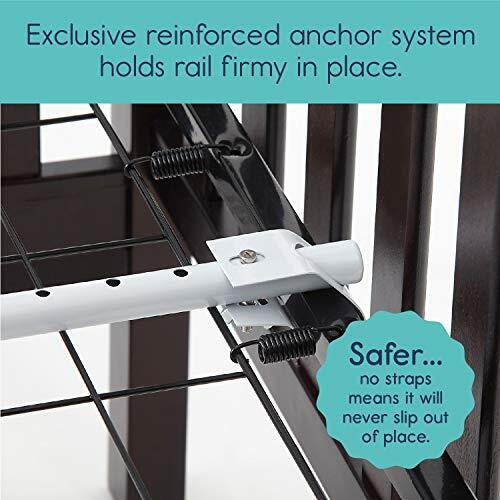 Safety was our number 1 concern when we designed our ORIGINAL CRIB RAIL. This is why it remains the safest and sturdiest system on the market today. 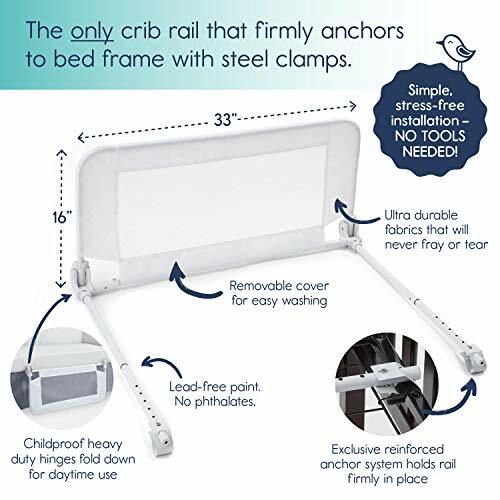 Our reinforced anchor attaches directly to the crib to ensure the railing will NEVER shift. STRESS-FREE, QUICK ASSEMBLY: Parents have enough stuff on their plates, so we made setup a snap. No tools required and image-rich instructions included. We fit ALL cribs (except IKEA). CREATING LASTING MEMORIES THROUGH READING: We didn't want our bed guard to prevent these sweet times, so we designed it with a two-hand release which quickly lowers for access. As for some light reading, might we suggest a college application guide. Just kidding...kind of. BEST QUALITY MATERIALS AND COMPONENTS: What good is a great design if the parts used to build it are sub-par? There is nothing worse than thinking you got a great deal, only to find out you got tricked? 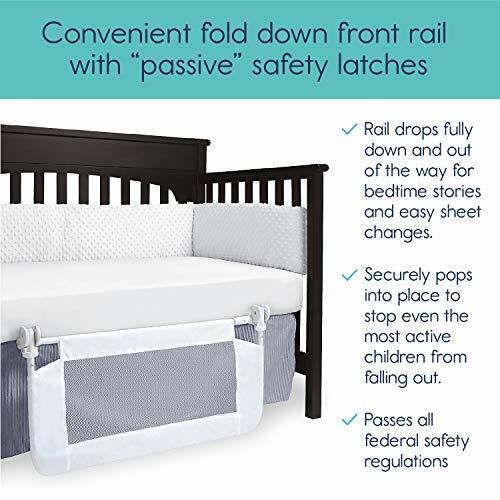 That's why our hiccapop convertible toddler bed guard rail uses only the highest quality metal, nylon-plastic and heavy duty fabrics available, so you can use it for your boys and girls for a LIFETIME. 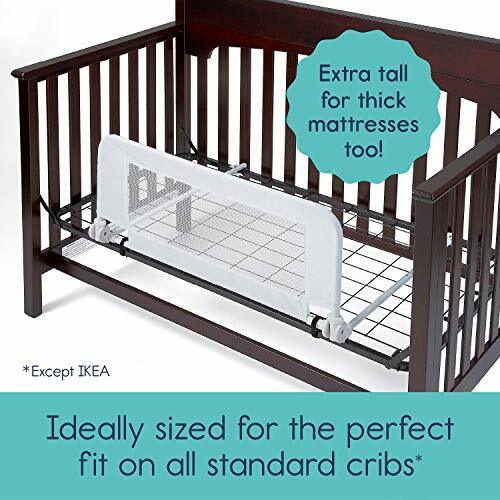 EXTRA TALL FOR THICK MATTRESSES: Crib mattresses come in a variety of thicknesses, so rather than building a crib railing that only fits thinner ones, we designed our rail to adapt to even the thickest beds. LIFETIME WARRANTY: With over 500,000 sold, we confidently stand behind our LIFETIME GUARANTEE. If our rail ever fails, just email us & we'll send you a unit the next day, no questions asked. That's how confident we are. Sleep safe, Sleep smart, Sleep with hiccapop. Avtant Baby is a participant in the Amazon Services LLC Associates Program, an affiliate advertising program designed to provide a means for sites to earn advertising fees by advertising and linking to Amazon.com, Endless.com, MYHABIT.com, SmallParts.com, or AmazonWireless.com. Amazon, the Amazon logo, AmazonSupply, and the AmazonSupply logo are trademarks of Amazon.com, Inc. or its affiliates.